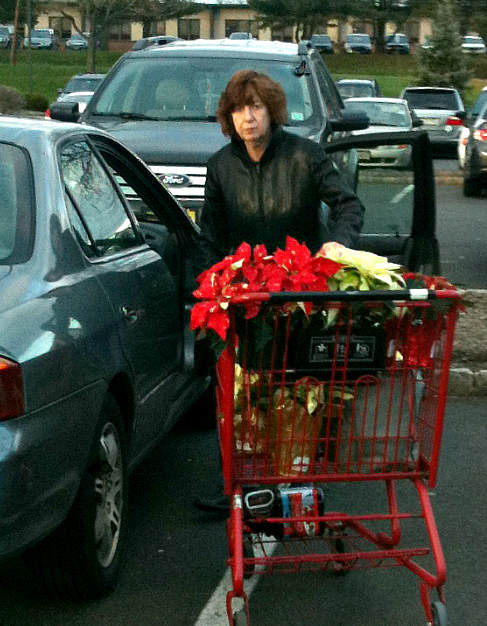 Poinsettias can be fussy and they're quick to complain. Without proper care they drop most of their leaves and loose their color quickly. Unfortunately, there's very little middle ground with poinsettias - they're either healthy and thriving or they're dying. Buy only "fresh" plants. 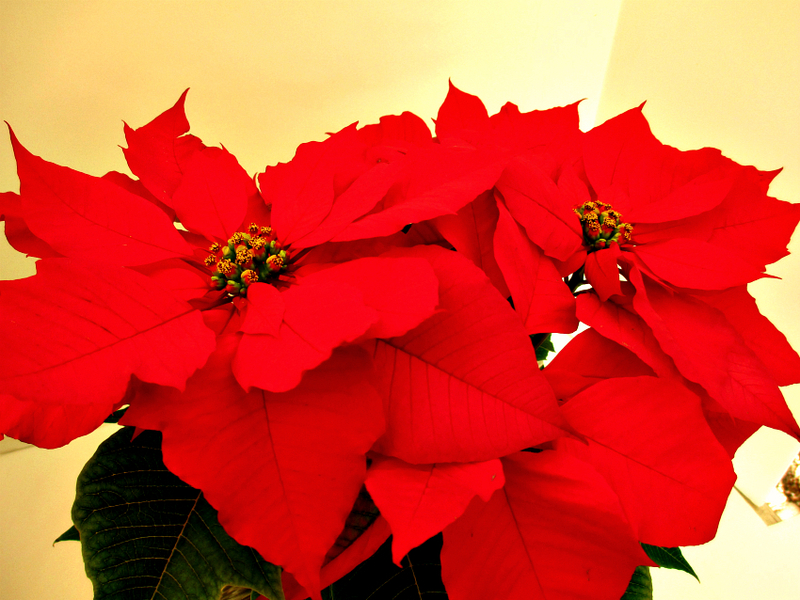 The actual poinsettia flower is at the top of the plant. (The brightly colored leaves that give the plant its color are called bracts.) The flowers should just be just emerging and look fresh and healthy. If they're missing, the plant has either been mishandled or its past its prime and beginning to decline. Actual Poinsettia flower is at the top of the plant. If the flowers don't look fresh - don't buy that plant. Skip plants that have been sitting with plastic wrappers pulled up around their leaves. 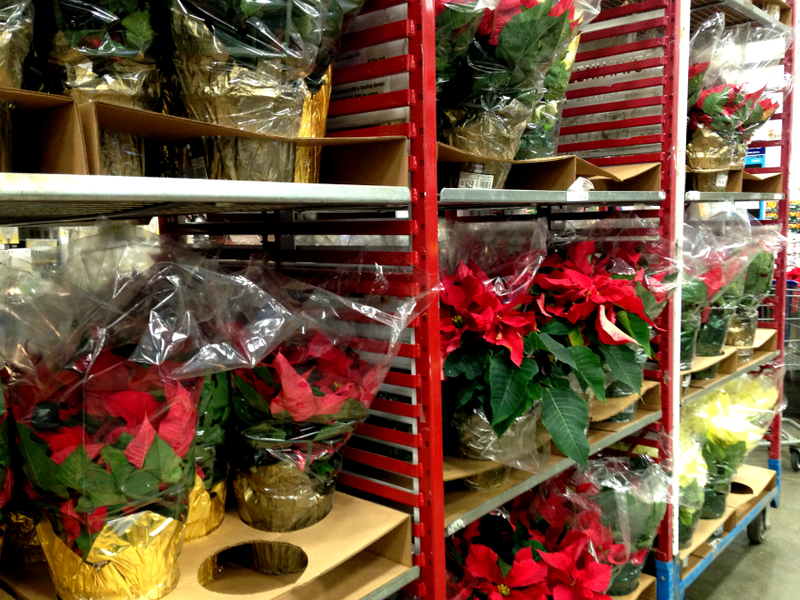 Poinsettias produce an ethylene gas that collects around the leaves without good air circulation. It only takes about 24 hours of being wrapped up and the plant will start dropping its lower leaves. Once the leaves start dropping, no amount of love and care will bring them back. Protective wrappers also make watering impossible while plants are sitting in the store. Uneven watering is the #1 killer of poinsettias. 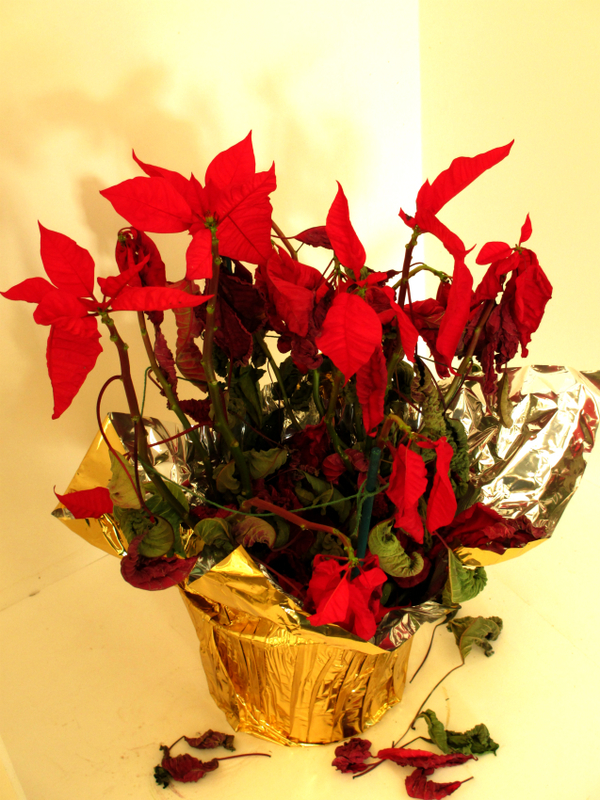 Don't buy plants with droopy leaves because wilting poinsettias rarely recover. Leaves droop from lack of moisture which means 1) plant has been underwatered or 2) plant has been over watered and the roots are decaying. In either case, don't buy that plant. Poinsettias damage easily and they don't like the cold. Take care in getting your plants home. This is where protective wrappers are necessary. Left unprotected, poinsettias will suffer cold damage in temperatures below 45 degrees. They respond by dropping leaves, and once that starts, no amount of love and care will stop it. Incorrect watering is the #1 killer of poinsettias. How much water your plant needs can vary widely depending on size of the plant size and environmental conditions. 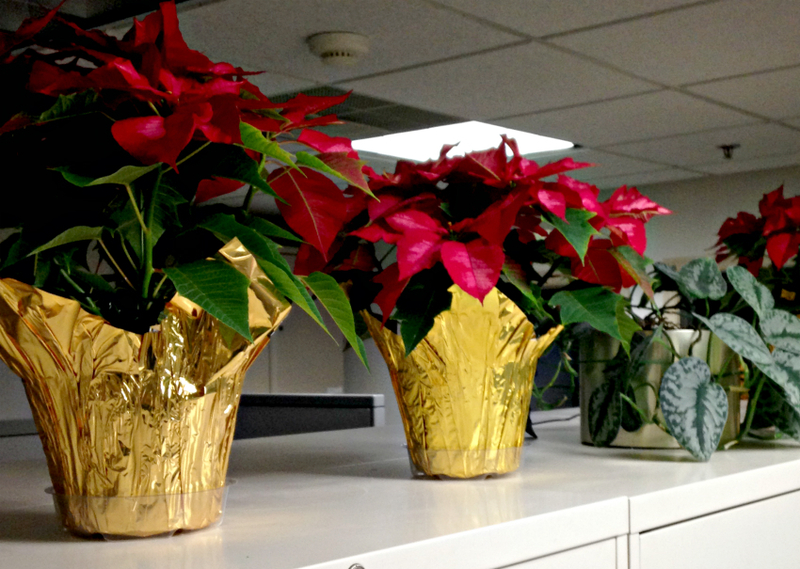 A poinsettia on a file cabinet in a hot office will drink 2-3 times more water than that same plant sitting in a cool room at home. The most practical way to judge if your plant needs water is by weight. Lift the plant - if it feels light - like the pot is full of feathers, it's time to water. On the other hand, if it feels heavy - like the pot is full of bricks, better wait. When watering, make sure the soil is absorbing water. Water slowly at first, then apply full amount. Plant food is not necessary. Make watering easy by putting a clear plastic saucer under the grow pot. A watertight saucer adds an extra layer of security, eliminating the worry about the pot leaking.